I am so into recycling that I am making Stella wear my old overalls. I haven’t posted in so long because I’m lazy. But also, I needed to take a break and discover a new direction. So, this blog will probably change, and soon. But all the helpful resources pertaining to feeding issues will remain, and I hope that they continue to help and comfort people. The thing is, Stella’s bottles are no longer thickened. She is off both of her reflux medications, the Ranitidine (Zantac) discontinued two or three weeks ago with no issues. And she eats plenty. All the mental and physical energy that went into feeding Stella, and worrying about feeding Stella, needs to go elsewhere now. I’ve been a bit stuck as a result, but figuring it out, slowly. Stella earned her “early walker” status last week. She will be eleven months old tomorrow, and I saw her take her first steps on her ten-month birthday. Though Cody shrugged when I told him that, because he’d seen it before. Why he didn’t mention that humungous event is beyond me. Best guess is that he felt guilty over having witnessed it with out me. In any case, she is now literally off and running. Speaking of another round, it’s time for my second glass of wine. In my own personal experience, it’s one of the few upsides of formula-feeding, and I’ll take it. P.S. Whoever says formula-feeding is convenient and time-saving is HIGH! 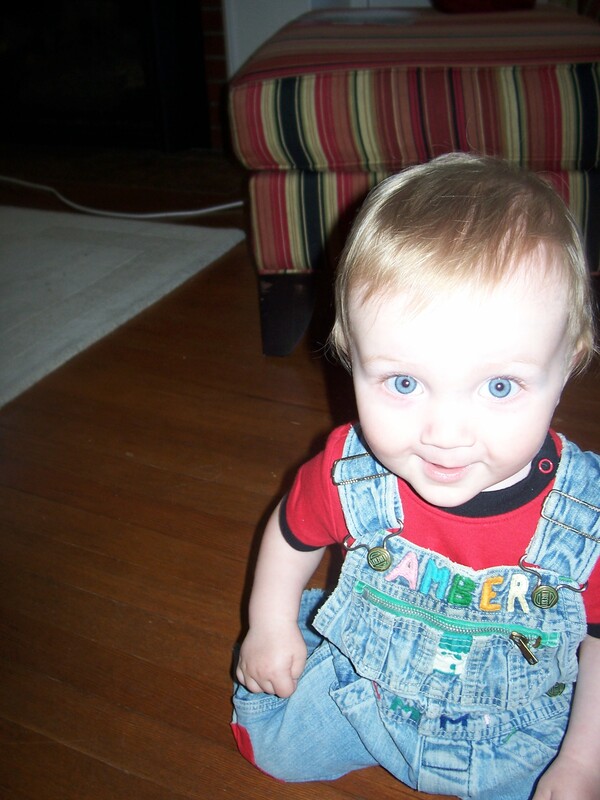 This entry was posted in Family update, Life with a baby, Milestones and tagged awesomeness, baby, eleven months old, first steps, formula feeding, GERD, infant, motherhood, parenthood, reflux, zantac. Bookmark the permalink. Yay Stella! Can’t wait to see her in action, LOVE the overalls! Moving on! Moving forward! I love it. We’re right behind ya. Just cleaning all those bottles has got to be crazy time consuming! I was just referring another mom to your blog and thought I would say hello and tell you that Mia’s tube is OUT!! YAY! Soo exciting. I will find out on Wednesday if she has gained any weight this month… fingers crossed! Thanks for all of your tips and most of all your confidence to go for it!! !